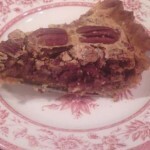 Great pie crust recipe for the LC-Pecan Pie, we think it would be great for other pie recipes too! Grease a 9 inch deep dish pie pan with butter or coconut oil. In a food processor or large bowl, add flours, sweetener and salt. Mix well. Add egg and butter, and mix thoroughly. Put dough into greased pie plate and spread out evenly across bottom and up the sides. The dough will have to consistency of peanut butter. Once dough is spread out evenly, you can crimp the edges if you like. 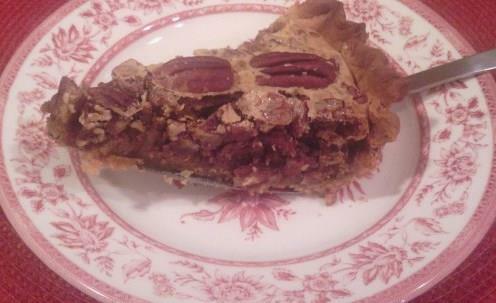 I found it was easy to do this by pushing the dough up just above the lip of the pie plate. Bake in 325 degree F oven for 15 minutes.